Shopping for a new Chevrolet Impala? Start with the base LS and a few options if you’re looking for good value in the class. The 2018 Chevy Impala cuts a fine full-size figure, if you're into that sort of thing. If you're admiring Avalons and Azeras, and musing a Maxima, we bet the Impala holds some strong appeal, too. 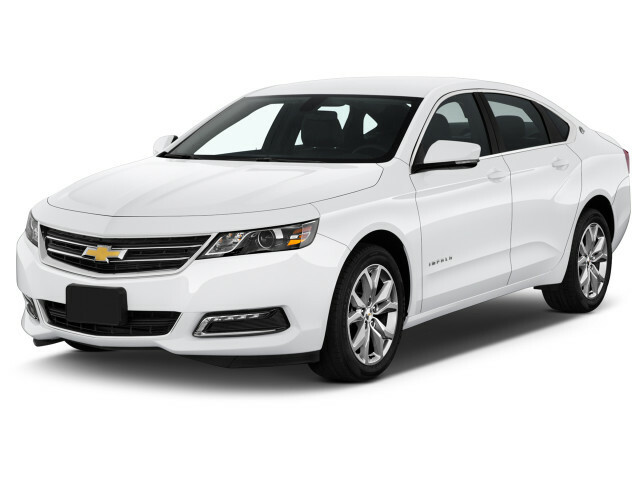 With the latest Impala, Chevy offers a comfortable four-door cruiser for four or five adults that's easy on gas, relatively fun to drive, and modestly handsome. Its predecessor certainly was none of those things. This year’s Impala changes very little from last year’s version, aside from a few new paint schemes and a little more standard equipment across all models, starting with the Chevy Impala LS as base. A rearview camera is standard across all cars now, and even base models get an 8.0-inch touchscreen for infotainment, with Apple CarPlay and Android Auto compatibility—still a relative rarity for a car starting at $28,375, including delivery. All versions get the same sharp styling that ushered in a good era for styling from General Motors. Other front-drive offerings from GM keep the same crisp shapes, especially around the front and rear fenders. Chevrolet Impala Premier editions punch a little further up on luxury weight classes with standard navigation, Bose premium audio, and wireless cellphone charging. 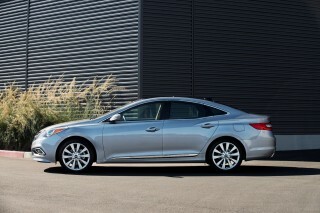 All Impalas come with a 6-speed automatic and a choice between a 2.5-liter inline-4 or a 3.6-liter V-6. Mainstream full-sizers like the Impala have largely fallen by the wayside, so even though the Chevy’s powerplant sounds advanced for 2012—it’s still somewhat competitive. The Chevy Malibu, which is nearly identically sized, offers a smaller displacement, turbocharged engine or a hybrid powertrain for economy-first buyers. The Impala has managed to look good for a while, even as other have caught up—or surpassed it. Chevy’s redesign of the Impala in 2014 was largely a success. A dumpy, frumpy body was given a (rightful) viking’s funeral, and what was left from the pyre was a more sculpted, sleeker body with all the right moves. About that interior: it’s too busy. By our eye, the dash crests and falls in too many places and we’re stuck wondering just what we should look at. It’s compounded by Chevy’s use of a few different materials that cut the look up too much. Chevy’s overall idea is a winner, it just falls down in execution—we’d prefer less drama. Outside, the sedan makes good for those transgressions. It’s a good looking collection of panels that mix crisp lines with good-looking shapes. By our eye, the grille manages to crib some of the better moves from Honda, especially with its clean lines. Around back, the Chevy Impala stamps on the throttle with complex shapes that help sculpt a racier roofline, but an intersection of clean corners pulls it all together into a smartly pressed crease. It’s one of GM’s best efforts, even if it brings together different brands’ identities into a single Chevy. The Impala’s best quality is its ride, and that’s not a bad thing. The numbers won’t be impressive, but the performance comes close. The 2018 Chevrolet Impala has largely been left out of the latest powertrain improvements for sedans, in favor of a simplified approach that appeals to a broader swath of consumers. Like last year, the Chevy Impala comes equipped with a 6-speed automatic and a choice between a 2.5-liter inline-4 or a 3.6-liter V-6. The 6-speed isn’t a smooth customer, but manages to keep the Impala settled into long cruises. Because the torque converter's set up to lock up more often in the name of fuel economy, a jumpy foot can trigger what feels like half-shifts as the converter unlocks. It's still ready to react quickly to the right amount of pedal. Base Chevy Impala LS models and mid-range LT models are fitted as standard with a 2.5-liter inline-4 that makes 196 horsepower. In our drives, the inline-4 is better suited for mid-range hauls than off-the-line acceleration, which we suppose is the point. Active noise cancellation quells some of the harsher noises made by the raspy inline-4, but it’s not as swift as the badge might imply. Chevy Impala Premier models pack more under the hood by way of a standard 3.6-liter V-6 that makes a more satisfying 305 hp, and a 0-60 mph time of 6.8 seconds. In addition to the bellowing exhaust, the V-6 also provides a more satisfying feeling that the premium sedan should impart. 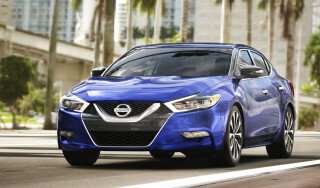 It has a big flat torque curve with a responsive—without jittery—throttle response. The bigger V-6 is available as an option on all grades. The Impala’s suspension hints at a more focused mission than as a soft, wallowy full-size sedan. Front struts and a rear multi-link setup are aided by digressive damping that swallows big bumps and bounces through small ones. The Impala’s 3,800-pound weight is kept on a short leash with promising rebound springs. The Impala rides on stock 18-inch rubbers, but is upgradable to noisy 20-inchers shod with Bridgestone Potenzas. A natural steering setup is complemented by a solid steering weight and repeatable tracking. It’s comfortable without being lazy, and improves by a measure over the Taurus, Azera, and Avalon. Quiet, big, and capacious, the Chevy Impala is a comfortable sedan. The 2018 Chevy Impala makes its bones in being a big car, but it doesn’t drive that way. By the numbers, the 111.7 inches between the wheels of the Impala and its 201.3-inch span bumper-to-bumper can rival bigger SUVs. Despite its impressive shadow, the Impala is in line with other sedans in its class, such as the VW Passat and Toyota Avalon. Four adults should fit comfortably in the Impala, and five will work in a pinch. Very tall rear-seat riders may get a little cramped for leg room, but most body types should fit just fine. Up front, the two positions are good enough for the Lakers’ frontcourt. For 2018, Chevy skipped the base cloth on LS models in favor of the cloth/synthetic leather trim found on LT models. Premier models do the best with leather seats that not only feel better, but also are more adjustable. The Impala’s cargo room is just as impressive with 18.8 cubic feet, just a hair shy of the Taurus’ immense 20 cubes. The Chevy’s room is a little shallow, but the trunk floor is flat and extends well below the rear glass. Interior storage cubbies abound, with long bins and bottle holders on every door, and the center console is wide and deep enough to swallow a shoebox. All models now feature a motorized 8.0-inch touchscreen that covers a hidden storage bin for valuables or phones. Base and mid-range Chevy Impala LT models use active noise cancellation to quell bad vibrations from the 2.5-liter inline-4 with good effect; the Impala is a relatively quiet ride. The Impala crashes NHTSA's party well, but the IIHS is another matter. The IIHS gives the 2018 Chevy Impala "Good" ratings in most tests, but its "Acceptable" score in small-overlap impacts means it doesn't qualify for Top Safety Pick status. The NHTSA gives the most recent Impala five stars overall, with a four-star score for rollover crash protection. Chevy made standard this year a rearview camera that was desperately missing from earlier base models. On top of a standard rearview camera, all models get a standard complement of airbags, traction and stability control systems, adaptive cruise control, lane departure warning, forward collision warning, and blind spot monitors. Even base Impalas are well-equipped now, which makes for good value for entry buyers. The 2018 Chevy Impala is offered in LS, LT, and Premier trims. LS- and LT-trimmed cars can be equipped with a V-6 as optional equipment. The news this year is that all cars are equipped with an 8.0-inch touchscreen as standard equipment, and all models get a rearview camera. 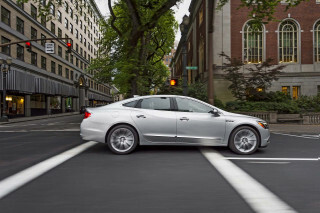 All Impala sedans have power features, air conditioning, cruise control, and 18-inch wheels. 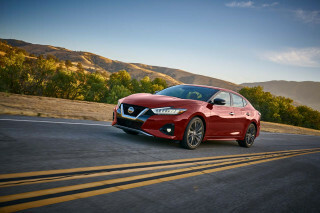 Base LS models swap cloth for cloth/synthetic leather this year, which is better for entry buyers, and they include an 8.0-inch motorized infotainment screen that reveals a small storage pocket at the press of a button. Now that LS models are trimmed better, we have a hard time justifying the price to move up to LT models, which add a remote starter and LED running lights. Moving up to Premier this year adds 19-inch wheels, power adjustable front seats, sunroof, Bose premium audio, leather seats, navigation, and wireless cellphone charging. 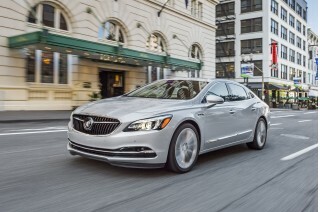 With all the options—power tilt/telescoping steering; navigation; 20-inch wheels; Bose audio; adaptive cruise control; and ventilated seats—an Impala Premier can cost more than $40,000. MyLink offers Apple CarPlay and Android Auto compatibility—it can mirror some smartphone functions on the car's touchscreen display—and wireless charging for cell phones, as an option. The 2018 Chevrolet Impala is relatively frugal, considering its size, but not as thrifty as others. Models equipped with a V-6 were rated at 18/28/22 mpg. 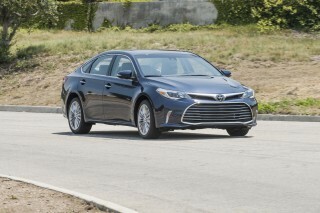 Those numbers are lower than direct rivals with a V-6 such as the Toyota Avalon and Dodge Charger. 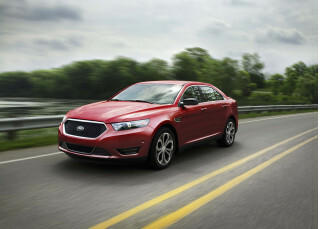 We’ve seen up to 20 mpg in V-6 models and 25 mpg in inline-4 models, in our drives. I got a 2018 Impala Premier. I love this car. However, I find it very hard to get into it. The steering wheel is in the way even though it can be moved upwards it's still not enough room. Even when I move the... I got a 2018 Impala Premier. I love this car. However, I find it very hard to get into it. The steering wheel is in the way even though it can be moved upwards it's still not enough room. Even when I move the seat back. I'm not a big person. I'm only 5' 7". Also, there is no leg room to move your legs side to side. The center console prevents your leg from moving to the side and the door prevents your left leg from moving to the left side. There is just no room in the drivers side of this car. My legs get cramped very quickly driving this car. The bucket seats are also a problem. The seat curves up and it puts pressure on my buttock where I keep my wallet causing pain in my buttock. I have to remove my wallet from my back pocket when I drive this car. This car would be a nightmare on long road trips. The driver side was just poorly designed.